Supernova are Bengal cat breeders based in Clackmannanshire, Scotland and we occasionally have Bengal kittens for sale to permanent loving homes. Kali was the very first 5G female born here from the line of Little L ALC. To further progress this earlier generation line has been a long term goal of ours. Kali is a beautifully contrasted seal mink. She has a lovely head type and face paint, good muscular structure, excellent ear placement with nicely rounded tips and a strong muzzle. She is very affectionate in personality and loves her humans. A pleasure to have. 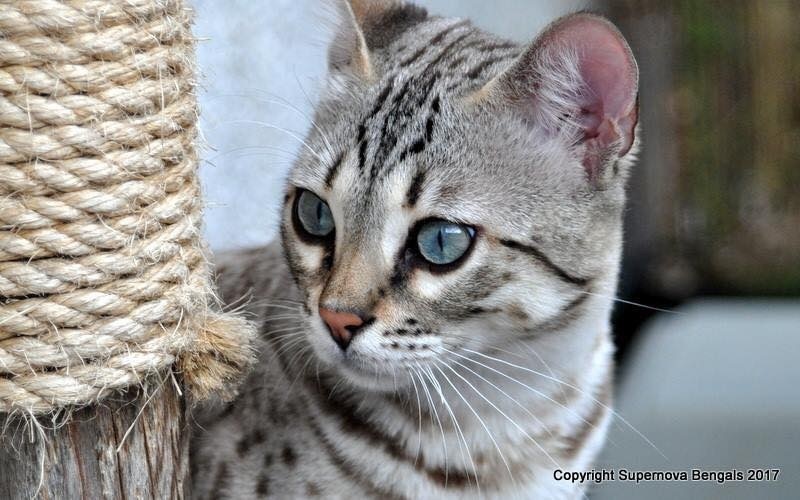 Supernova Bengals is a TICA registered cattery established in 2007. 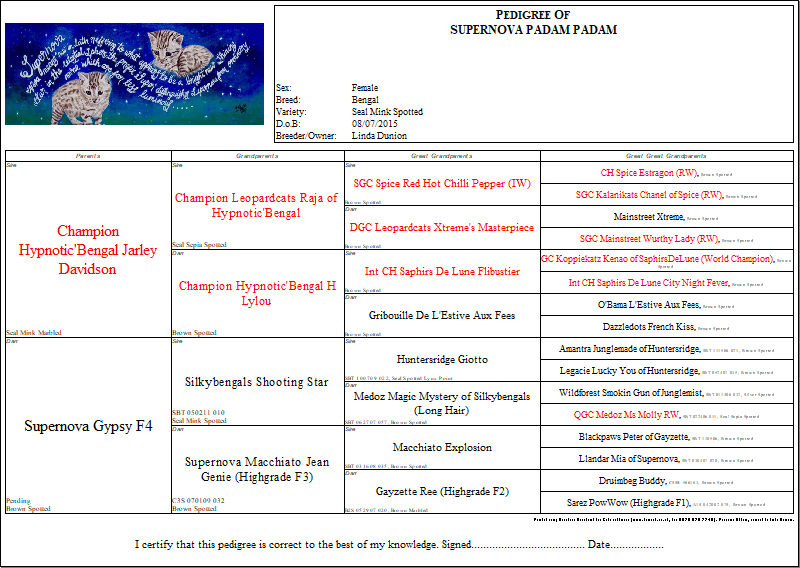 All content and images are the copyright of Supernova Bengals. Please do not use without our permission.